This is a mural I designed for the Akron Art Museum in Ohio (akronartmuseum.org). The museum will print and install the mural. 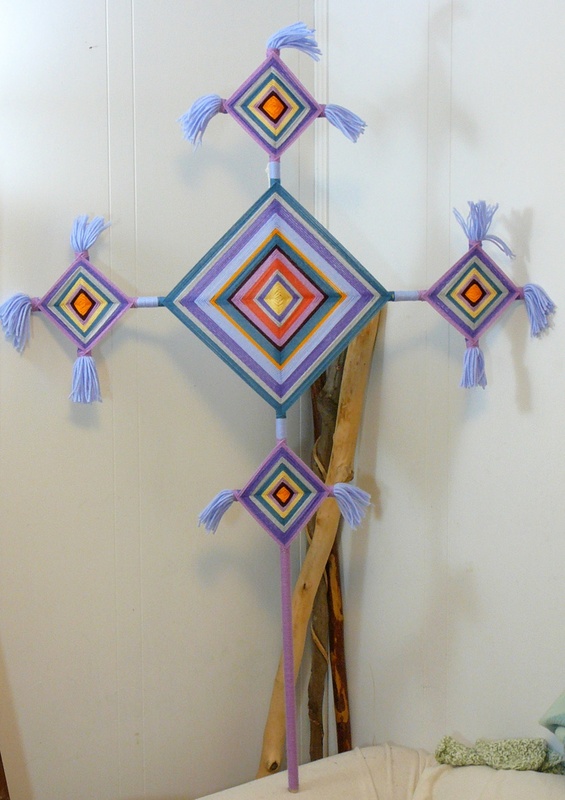 It is going to be 30 ft long (including the door) and 8 ft tall. It will be on display from February 9 to August 4. It is part of an exhibition called Draw Me a Story, which will also feature picture books created by 2nd and 3rd graders of Leggett Elementary, King Elementary, Glover Elementary and The Lippman School. Here is a clip from the museum’s member’s magazine with more info. The books the children made and the mural I designed are homage to Ezra Jack Keats and to his groundbreaking book The Snowy Day, which was the first modern picture book to feature an African American protagonist. 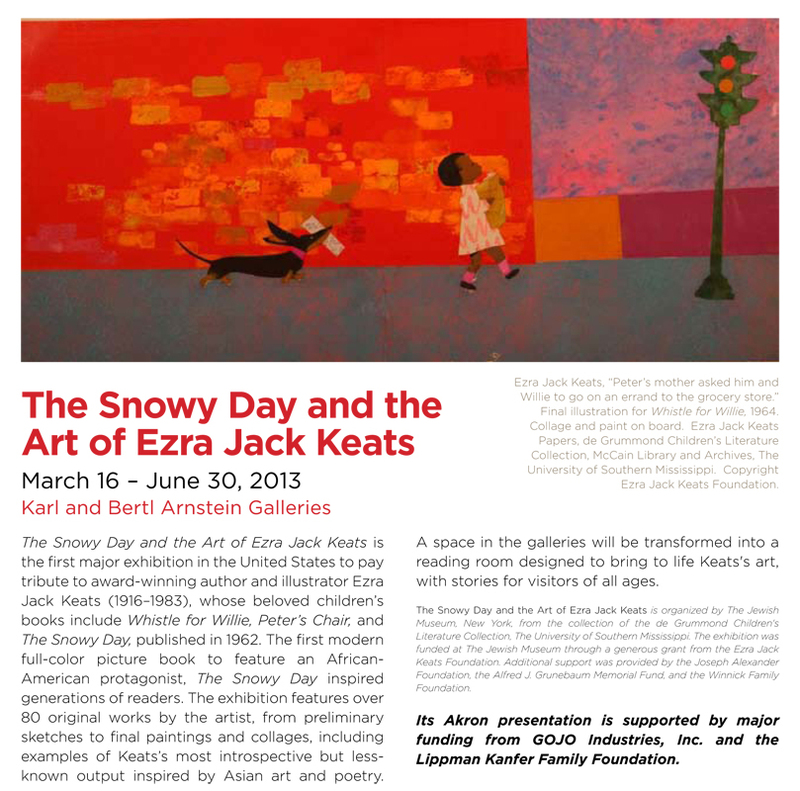 An exhibition called The Snowy Day and the Art of Ezra Jack Keats will open at the museum on March 16. It will be the first retrospective of the award-winning author-illustrator in the US. Keats books are set in Brooklyn where he grew up and lived. His spreads are filled with Brooklyn buildings, graffiti and traffic lights. 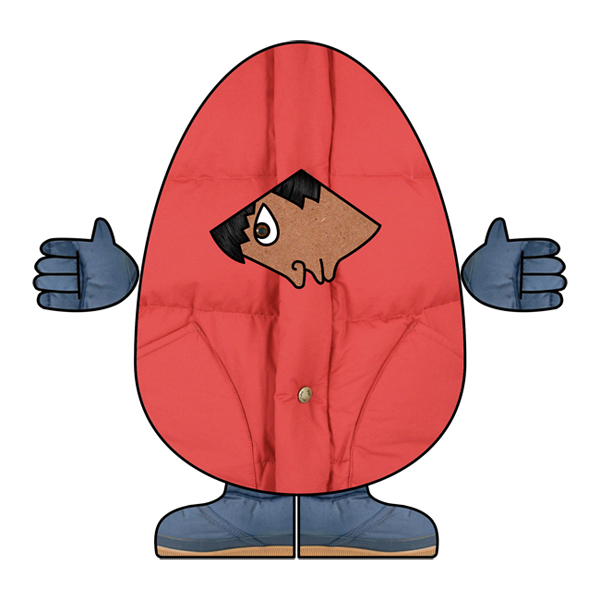 But more importantly, his books feature children of diverse ethnic backgrounds. They reflect the environment that surrounded him. This is a nice little video on youtube with plenty of information on Keats’ work and life. Keats’ work was revolutionary in terms of content, but also in terms of technique. He would do collage and mixed media when no one else was doing it. I have a lot of admiration and I feel a great affinity towards Keats. I do collage in my illustrations (but I use the computer). I am drawn to urban settings and try to make relevant social commentaries in my work. I wanted the mural to look like a modern Pre-Columbian codex set in contemporary Brooklyn during winter. The characters are always drawn in profile and I chose to use a limited palate: blue, red, white, black, gray and a tiny bit of yellow. The color choice was intentional. Red, white and blue are the colors of the American flag. The US is one of the most, perhaps the most diverse country in the world. There are people from all races and backgrounds here, especially in big urban centers like New York. Unfortunately a lot of prejudice and racism still prevails. I had a lot of fun with this project and tried to make reference to several pieces of art and artifacts. 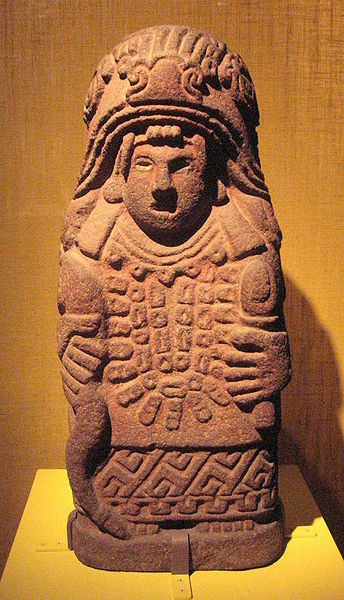 The bundled children are inspired by egg-shaped Aztec sculptures in the Museo Nacional de Antropologia in Mexico City. 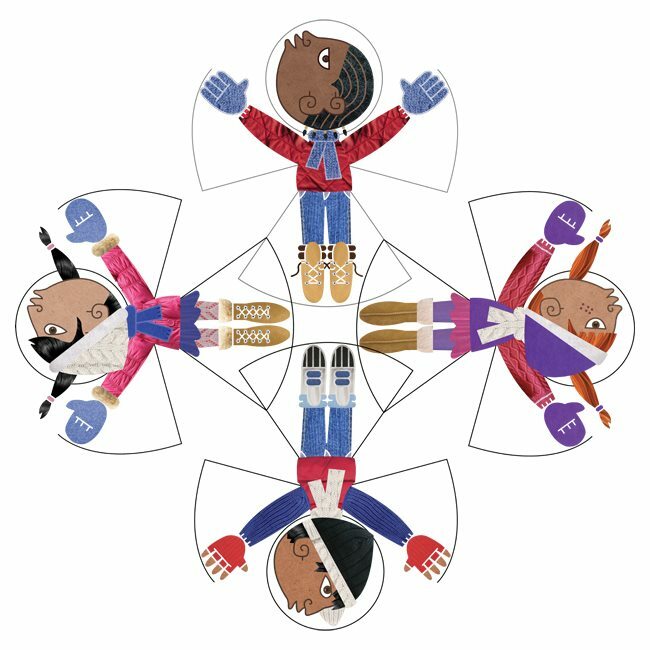 The four children making snow angels in the center are meant to look a bit like a Huichol Ojo de Dios. The 4 directions are of utmost importance to indigenous groups. I drew children of different ethnicity pointing towards each direction. I included some text in the mural. The text comes directly from things that 2nd and 3rd graders wrote. I sent them a brief letter with a short questionnaire. 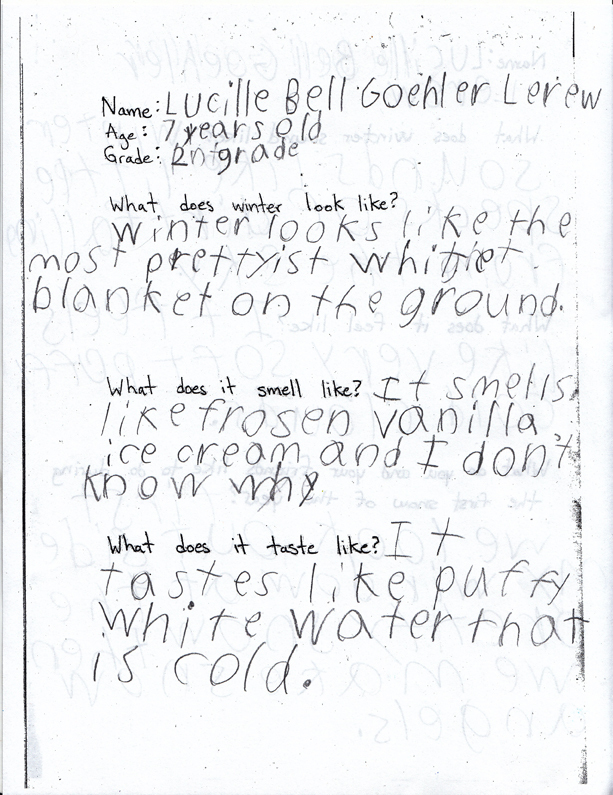 I asked them what winter sounded, smelled, felt, looked and tasted like. 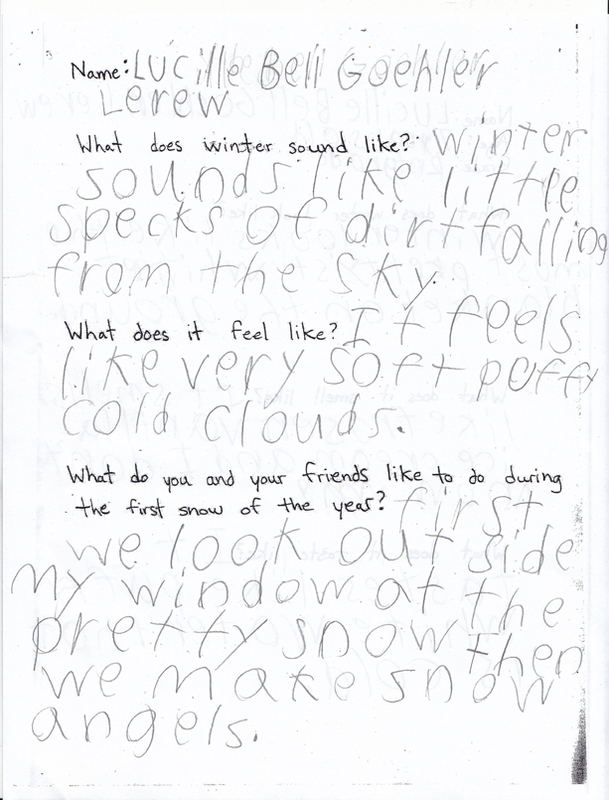 I also asked them what was their favorite thing to do on the first snowy day of the year. My drawings are based on their responses. Snowball fights and sledding where among their favorite activities. 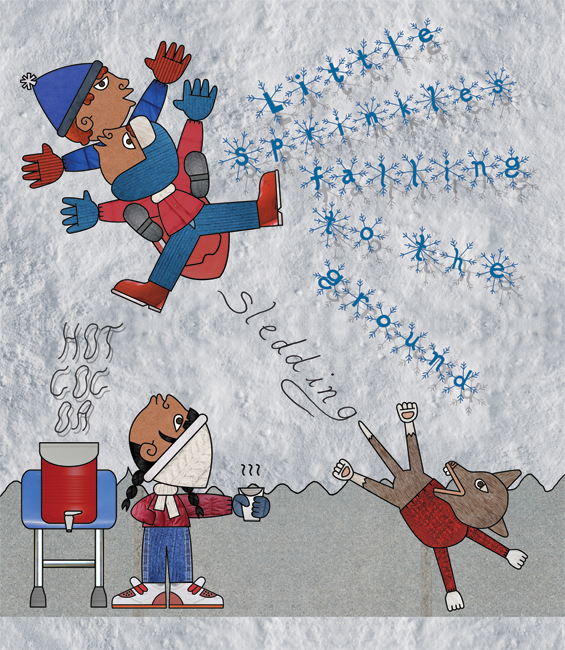 Those are also some the things Peter, the protagonist of The Snowy Day does in the book. I tried to integrate some of their text into the image, and make it a part of the illustration, much in the spirit of my friend Lauren Redniss. I will be visiting Akron from April 12 to the 16. 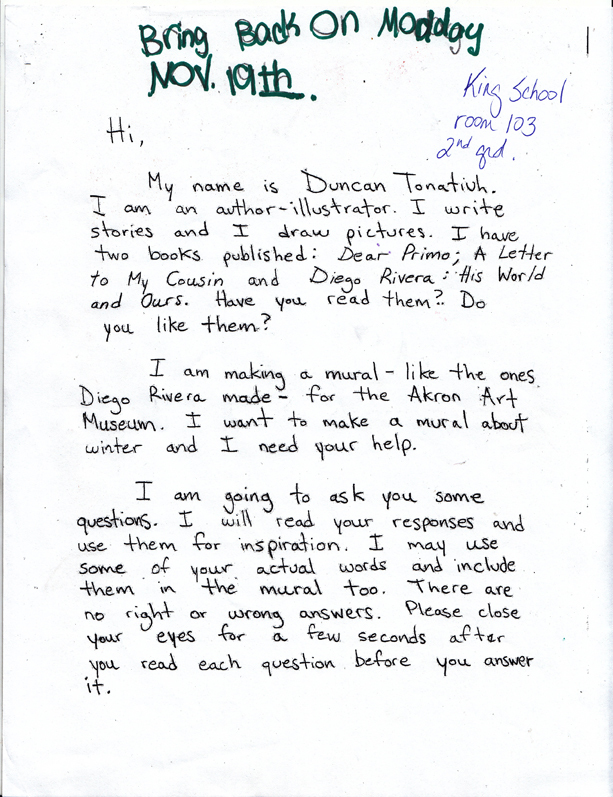 I am looking forward to meeting the students that I corresponded with and seeing the full scale mural! Hopefully you can make it to Akron and see it yourself. When the exhibition ends I will be donating the mural to one of the Elementary Schools that participated in the project.